So now I have even more pain, because my system refuses to adjust to the new movements. 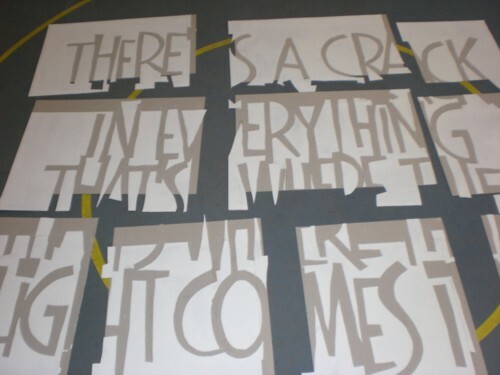 And it sure doesn’t help that I have been cutting out letters from a thick paper for two days. It is for an art piece that I promised to make for an office where my brother in law works. It is five square meters in size and I am not sure yet how to finish it. Most of the work has been done (especially puzzling out how to make it in a way that it can be transported in a car or by train was difficult. But the choice is now about making it all white, so that the text will be difficult to read but that the 3D effect will be maximised, or to leave the inside of the letters grey. Meanwhile I try to make my working place a bit more eh, workable. And I guess you will see some of the effect in this blog the next few days. I have plans to do away some books, so if you are interested in the kind of books that I never want to read again, stay tuned! How’s your elbow/arm nu, Frits? Beter? Hoop dat je kunt/zult wennen aan die tablet. 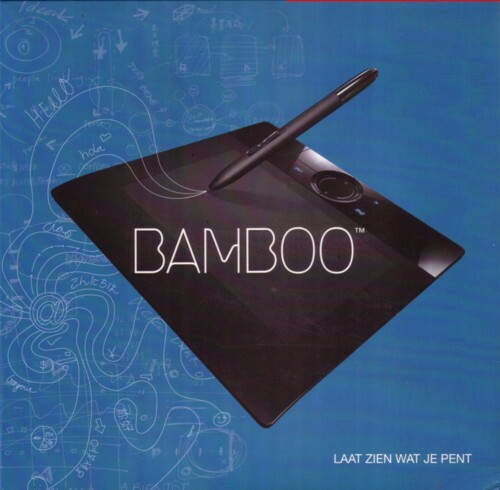 ‘k heb momenteel ook zo’n Wacom ‘Bamboo’. Toen ik destijds (2001?) van muis naar tablet ben geswitched was het inderdaad even wennen, maar it turned out to be zo’n uitkomst: Het werkt veel sneller/preciezer dan een muis voor me, en ik heb slechts heel sporadisch meer pijn… en dan in de duim (which operates the pen button), niet in de pols of elders in de arm.